I love Animal Crossing, we have the newest version on my son's 3DS....only problem, I never get to play it This looks fun, thanks for posting. GOAL: To build and to populate your colony. The challenge is over when you've lifted all restrictions. This list has received quite a few updates and is a great place to browse for new challenges. 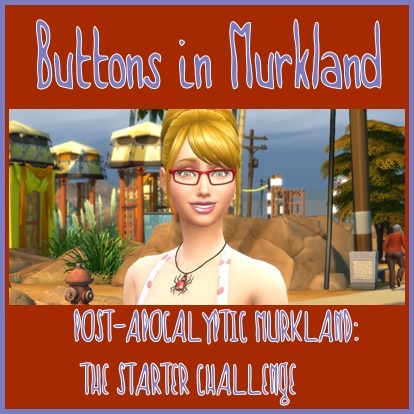 There are also update at The Sims Legacy Challenge by Pinstar and ImaginingMystic. This one looks fairly simple but still a challenge. The Sims 4 Room Challenge is meant to test your management of social activities without the presence of other Sims. You build an 8 x 8 room on any lot of your choosing, move your Sim inside, and then delete the door! Your Sim may not leave the room until the challenge is complete. The final goal is to complete the Mansion Baron aspiration without ever getting a job, friends, or exiting the allotted space.
" fairly simple but challenging" ... I'd say impossible! Hey! I didn't see the Prison Challenge listed. I've not tried it myself but I thought I would share the link. 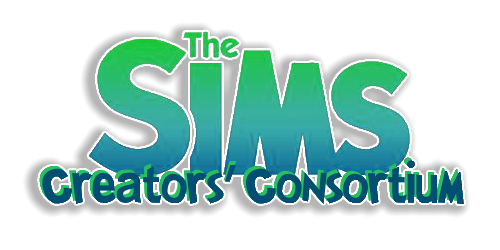 There are versions of the Asylum Challenge in the List of Challenges (Legacy and Other) for Sims 4 thread compiled by Nicarra60 on the EA Sims4 forum. Is that the one you are trying to find? Going over the list of challenges link from above and found a few more to add here. Let's play The Sims 4! 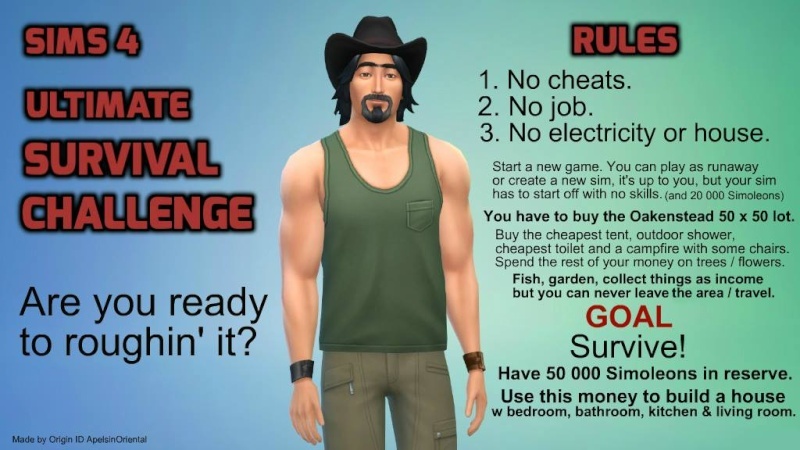 Jon "PyroFalkon" Michael, the writer of the IGN Entertainment strategy guide wiki for The Sims 4, has created a set of house rules to make The Sims 4 more challenging, in the same vein as the Legacy Challenge and the Asylum Challenge. Hello everyone, I was contacted by Euphorial Queen. This is a challenge I did at the Sims 4 community group. fantastic response! Those are some very rough/tough challenges. Sounds interesting. It would be a great way to explore the business aspect of Get to Work. Both, the Drifter and the Immigrant challenge look awesome. I think Immigrant will be the next I'll do. A few days back I watched a Cooking Challenge that was done by Guude and Aureylian. They had done it on live stream on Twitch TV. I watched Aurey's side of it. They have both released videos of the challenge if you would like to watch. Very interesting their different play styles. I tried the challenge and managed to complete it in 15 minutes real time.